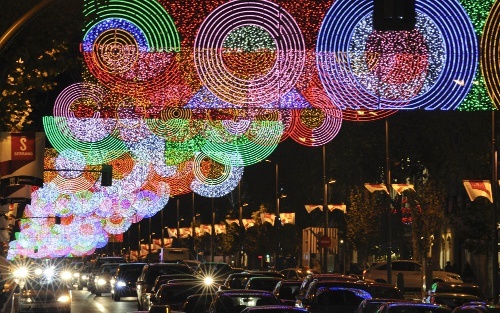 Interestingly, the history of this holiday is in itself a paradox. 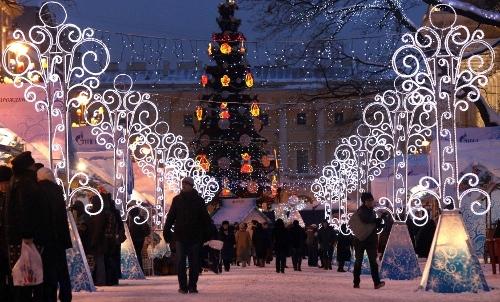 Most Christians believe that December 25 is the actual day that Jesus was born, calculated nine months after the Annunciation when the Blessed Virgin Mary was singled out to be the Mother of Christ. 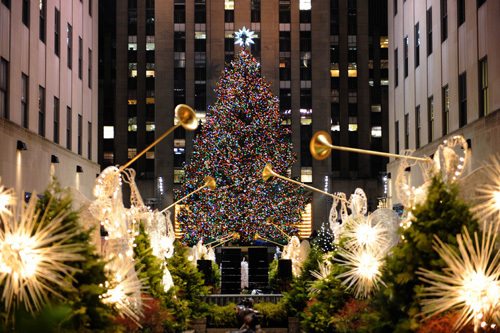 Some scholars have challenged this notion. 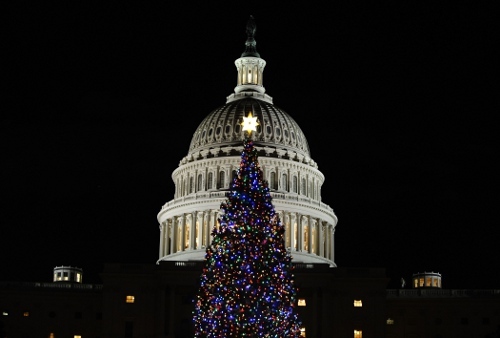 They submit that in the 4th century, the Roman Church chose the day that coincided with the winter solstice, supposedly the birthday of Sol Invictus. 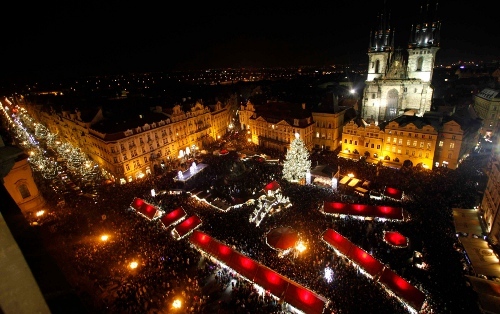 They allege that the assignment of December 25 as Christmas day was a clever ruse to replace the pagan celebration called Bruma. 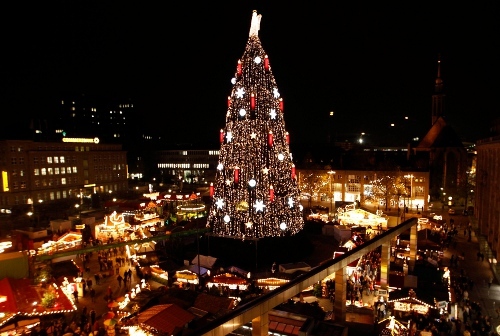 The universal theme remains the same whatever faith or country one belongs to. 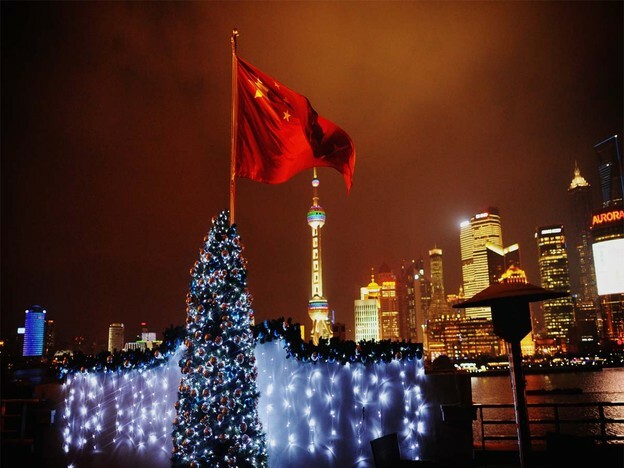 It is the ardent universal hope that the coming year will be better than the one gone by. 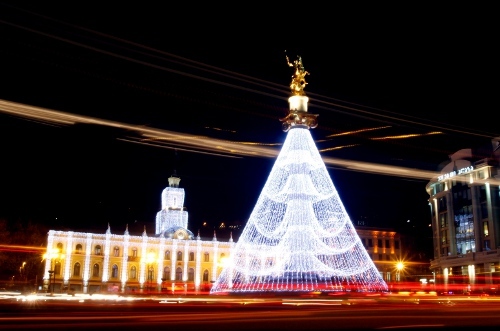 The wish is backed by resolve to do whatever it takes to achieve one’s definition of better, hence the ubiquitous New Year’s Resolutions. 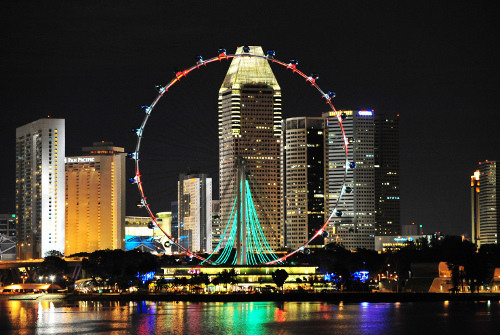 Lighted Christmas tree on the Singapore Flyer in Singapore. 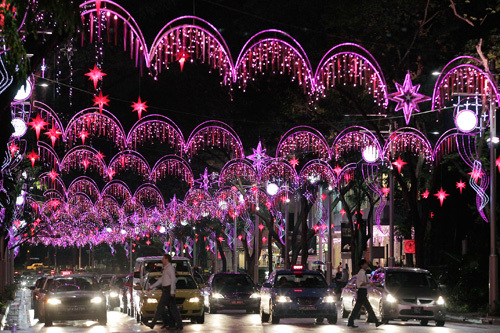 Christmas lights across the street at Orchard Road in Singapore. 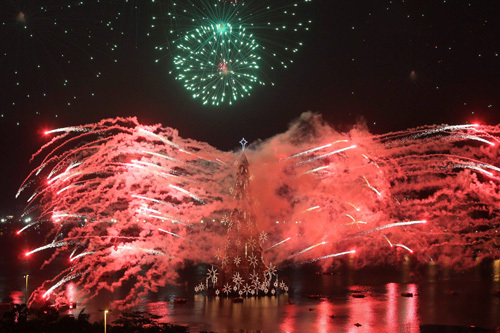 Fireworks explode from a Christmas tree during the lighting ceremony at Rodrigo de Freitas Lake in Rio de Janeiro, Brazil. 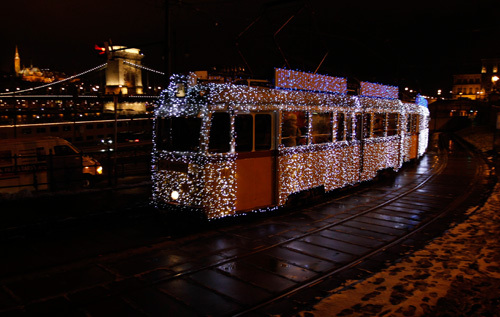 A tram decorated with Christmas lights travels in the centre of Budapest, Hungary. 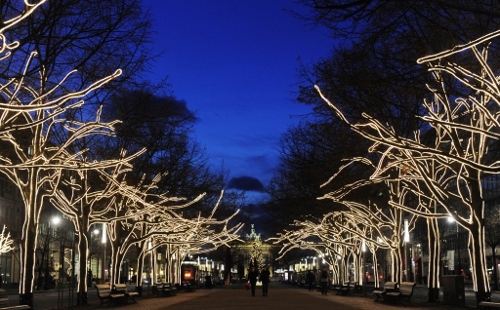 The trees on Berlin’s Unter der Linden boulevard are lit up for the Christmas season. 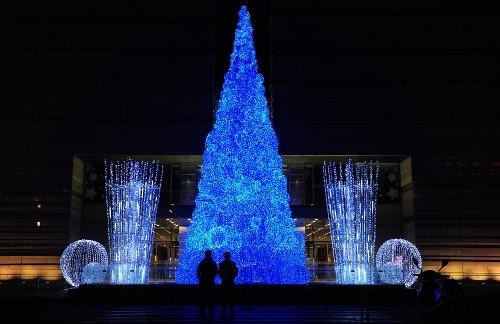 People view a fibre-optic lit Christmas tree decoration in front of an office building in BEIJING, China. 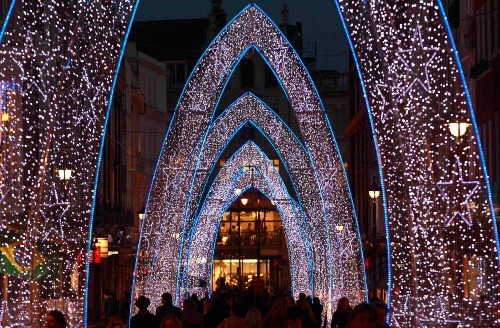 Shoppers walk under Christmas lights in West End in LONDON, England. 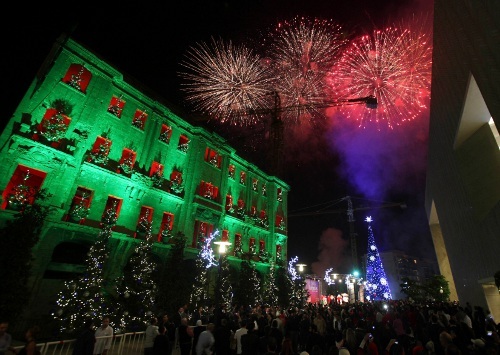 Fireworks explode as a giant Christmas tree and an old building in Beirut are illuminated during the launch of Beirut Celebrates 2010 at a Christmas parade in downtown Beirut. 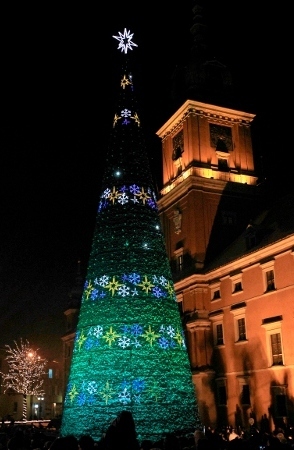 People gather to watch the lighting of the Christmas tree in front of the Royal Castle in WARSAW, Poland. 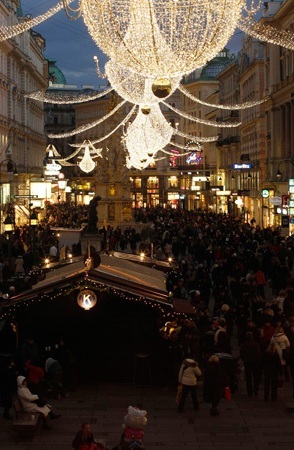 Christmas lights illuminate Vienna’s city centre in VIENNA, Austria. 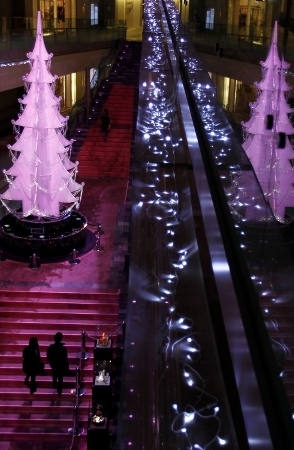 A couple walks towards a Christmas tree at a shopping mall in Tokyo, Japan. 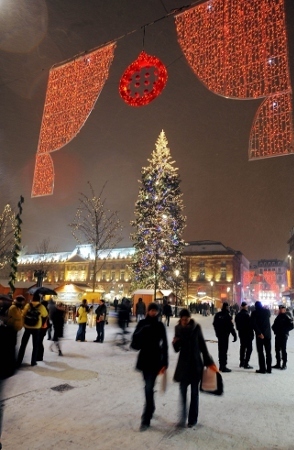 People walk on a snow-covered street on the square around the giant Christmas tree in STRASBOURG, France. 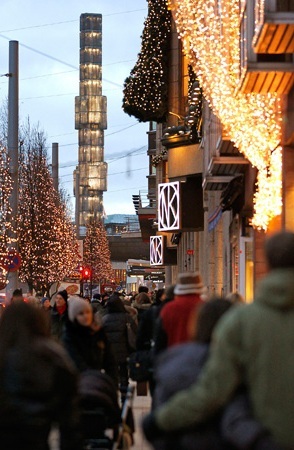 Pedestrians walk past Christmas lights in downtown Stockholm, Sweden. 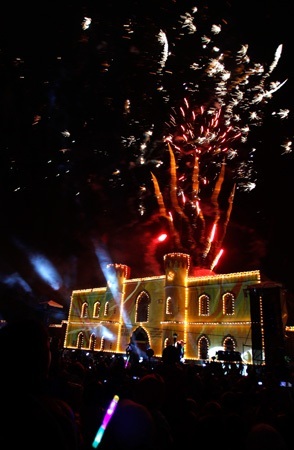 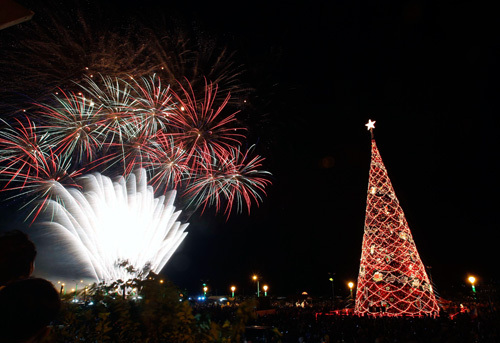 Fireworks explode during the illumination of Christmas lighing for the Children’s Museum in SAN JOSE, Costa Rica. 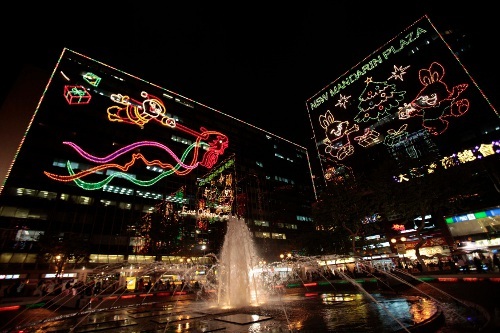 More than five thousand lights illuminate the museum during the Christmas season. 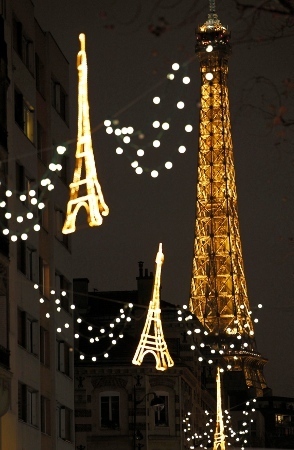 Christmas lights in the form of the Eiffel Tower are displayed near the actual city landmark on the Rue Saint Charles in the 15th arrondissement of Paris, France. 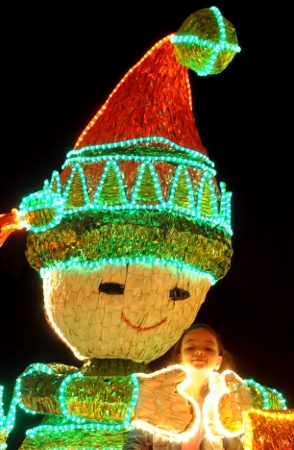 A girl poses for a picture in a street illuminated with Christmas lights in MEDELLIN, Colombia.